The outgoing chair of the Senate Foreign Relations Committee said North Korea’s hacking of Sony was akin to putting a virtual bomb in its parking lot, and he’s asked the State Department to put the country back on the list of state sponsors of terrorism. Sen. Robert Menendez, (D-NJ) made the statement to CNN’s Dana Bash on Sunday, saying that putting Pyongyang back on the terrorism sponsor list “would have far more pervasive consequences,” than the new sanctions imposed by President Barack Obama. Obama said last month he will review whether the country should go back on the terrorism list, but added he didn’t think the cyber hack was an act of war. Instead, he referred to it as a very costly and expensive act of vandalism that was to be taken seriously. The incoming Senate Armed Services Committee Chair, John McCain (R-Ariz.) also agrees with Menendez. “It's more than vandalism, it's a new form of warfare that we're involved in and we need to react and react vigorously, including re-imposing sanctions,” McCain said last month. Following the hack, the White House issued a new executive order sanctioning leaders in North Korea’s government, preventing them from accessing property and entering the United States. Pyongyang has denied involvement in the cyber-attack, but the FBI has maintained they were behind the computer breach despite evidence suggesting former employees of the studio may have been involved. 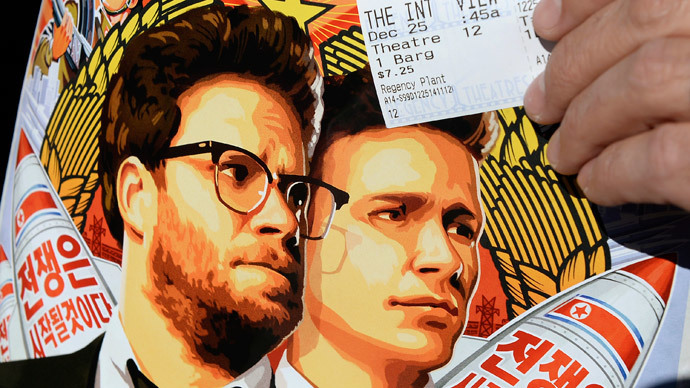 Terabytes of stolen data from the cyber-attack have since made its way to the web, embarrassing the Hollywood firm, and canceling the premiere of the movie “The Interview,” a comedy depicting the assassination of North Korean leader Kim Jong-un. Ultimately, the film was released on time in a limited number of theaters, as well as on streaming and on-demand services. "Obama always goes reckless in words and deeds like a monkey in a tropical forest," said a spokesman for the policy department of National Defense Commission, the country’s top governing body. The North Korean leadership also warned the US could face consequences over the movie.